What is Episcopal Church Women? Episcopal Church Women (ECW) is a group of women from all around the nation, focused on empowering women to do Christ's work in the world. In 1902, the Episcopal churches in Hawaii joined a national group known as the Episcopal Women's Auxiliary. 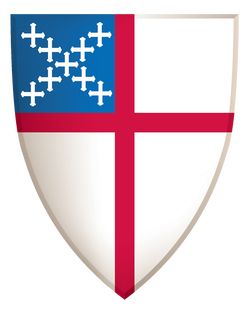 In 1985, Episcopal Women's Auxiliary's name changed to Episcopal Church Women. For more information about the history, please visit the "Our History" page of Episcopal Church Women's national website. and called to be witnesses for Christ. the person Christ created her to be. We are called. We are different. What Does the ECW Do? In the Diocese of Hawai`i, the ECW is involved with a variety of ministries, including the on-going collection of Campbell Soup labels that are sent to St. Jude's Ranch in Boulder City, NV. St. Jude's Ranch then exchanges these labels for playground equipment and other items that are used for the children at the ranch. Each year grants are awarded to programs in the Diocese through ECW Specials (see below). The Bishop's Pastoral Fund is a permanent recipient of the ECW Specials. Throughout the Diocese, women in different parishes have formed ECW groups, providing service in their communities and linking up with organizations such as Easter Seals, Habitat for Humanity, and government agencies to help the unsheltered and needy. United Thank Offering - They fill grants around the world when it comes to helping women and children. Many Hawai`i churches have been awarded a UTO grant over several years. Church Periodical Club - Ministry of the Written Word. CPC have sent textbooks to seminarians, filled grants with Bibles, the Book of Common Prayer, Hymnals and printed materials to various churches for many years. They also sponsor a "Miles of Pennies", an ongoing collection that funds a Children's Book Ministry. Diocesan Altar Guild - They have been the leading Episcopal Church Women's action-group throughout the years. They keep the supply of altar linens available for all churches to purchase a nominal fees including priest stoles. Christian Social Relations - Two grant applicants are selected as ECW Specials through the CSR Committee by July 15 of each year and pledges are made by churches and individuals to these programs. These grants help to provide seed money for start-up ministries and also provide funds for the Bishop's Pastoral Fund. For more information about Episcopal Church Women, please visit: www.ecwnational.org. As an Episcopal presence, Episcopal Church Women has served on the committee of Church Women United, whose mission is to be a racially, culturally and theologically inclusive Christian women's movement celebrating unity in diversity and working for a world of peace and justice. Church Women United strives to provide for its members resources and information on a wide range of social justice issues, opportunities for worship and action, and an expansive network of women and women's organizations working to ensure a better world for all. Learn about other ECW groups and activities within the Diocese HERE. 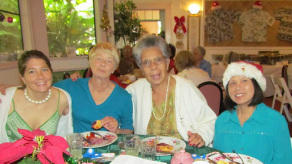 December 14th Annual Holiday Luncheon at Epiphany Episcopal Church. Sharing Blessings with Thanksgiving and Love. The United Thank Offering is a ministry of the Episcopal Church. Through the United Thank Offering, men, women and children nurture the habit of giving daily thanks to God. These prayers of thanksgiving start when we recognize and name our many daily blessings. Those who participate in the United Thank Offering have discovered that thankfulness leads to generosity. A short prayer of thanksgiving leads to an offering in the United Thank Offering envelope. All offerings are used to support grants for ministries at home and oversea as an outreach of the Episcopal Church. Prayers and offerings make it possible for the UTO mission to stretch in unexpected ways. Hope your church will plan a Spring or Fall In-gathering or both. If your church need blue boxes or envelopes, feel free to contact Louise Aloy and I can send some to your church.